Where exactly in the television process does impactful news become info-tainment? Leading Story shows and tells. The second, stand-alone episode of the Leading Story anthology series. Fictional tales highlighting the real stories that go behind the scenes of the news industry. Episode 2 is available for US premiere. We all want to be somewhere, feel like we should be elsewhere, but love being nowhere. A Romeo & Juliet gone awry. The inconsistent laws surrounding abortion have taken leave thousands of real peoples' lives at stake. These are their stories. A husband is obsessed and paranoid about his wife. The problem is there's someone even more obsessed. A family who run failing video store, becomes entangled in an unfathomable worldwide trade. 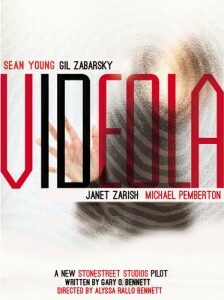 A missing daughter, and aimless son, and shadowy organizations haunt New York in Videola. A new U.S. President is elected with the help of a group that's about to kidnap and enact a new Constitution.